It’s a wrap! 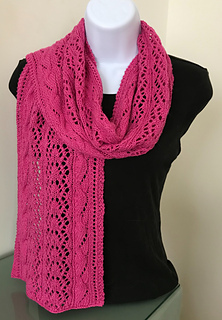 The Rosamund Wide Scarf and Wrap/Stole pattern completes my Piccadilly Collection. 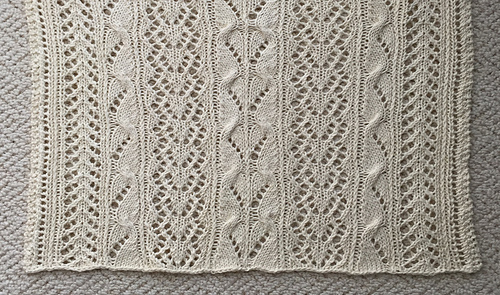 Each pattern in the collection carries a central theme – Phoebe’s cable and Fiona’s lace. 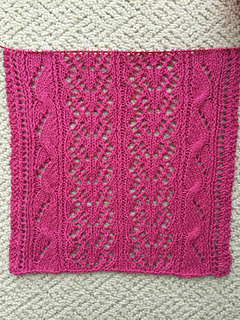 Interchangeably, these cables and lace stitches have evolved into a series of patterns – each with their own unique style and included in the eBook. Rosamund has two slightly different looks and exaggerates Fiona’s lace. 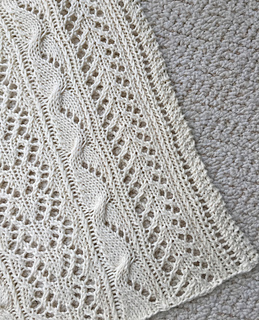 She has two versions – both can be made as a wide scarf or a larger wrap/stole with added repeats. The knitting skill level is intermediate and above. 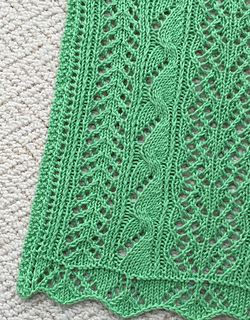 Knowledge of cables and lace work (yarn over increases, single/double decreases) is necessary. The pattern is both written and charted for easy interpretation. 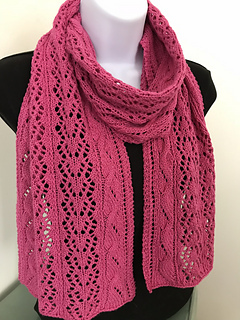 Use a cotton or linen yarn to knit either version of Rosamund as the perfect spring, summer or fall wrap; OR choose a nice alpaca or wool for a comfy, warm, wide winter scarf.